Calling all travel bugs! 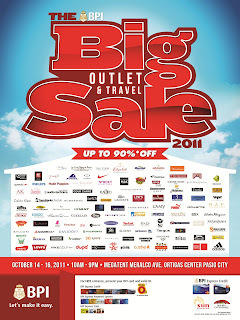 The BIG Outlet & Travel Sale 2011 is the place where you can get up to 90% off on the biggest brands and Book & Buy and discounted rates on hotels, resorts and airfare! 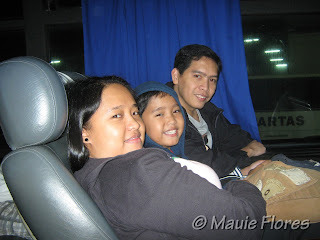 It's happening on October 14 to 16, 2011 at The MegaTent, 30 Meralco Avenue, Ortigas Center, Pasig City. 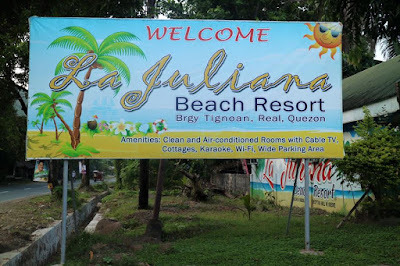 The place is open from 10 am to 9 pm and expect to find deals from travel merchants such as AirPhil Express, Microtel Philippines, The Tides Hotel Boracay, Movenpick Resort & Spa Cebu, Las Casas Filipinas, One Tagaytay Place, Hotel Elizabeth, Fersal Hotel, and more. You will also find the PowerMac Center, Ipanema, Levi's, Nike Golf, Dupe', Rudy Project, Crumpler, Cushe, Hush Puppies, Melissa, Adidas, Puma, Devant, Nike, Accel, Rustan Marketing Corp. Cutting Edge, JA Henckels, Manny O Wines, Canopy Homes, Parker, Chocolate Clothing, Dockers, R.A.F., Plains & Prints, Guerlain, Grendha, Giordano Ladies, Pac Sports, Sebago, Targus, Switch, Digital Walker, Audio Technica, Ideal Vision, Speck, Slazenger, Maldita, and many many more! BPI Cardholders (with valid ID) get to come in for free. Plus, there will be additional perks for BPI Express Credit Edge and Petron Mastercard holders. There's also going to be hourly raffle draws for BPI Edge & Petron Mastercard holders and Sun Cellular post-paid lines + Mobile Phones are at stake! Sayang, I didn't make it to this event.